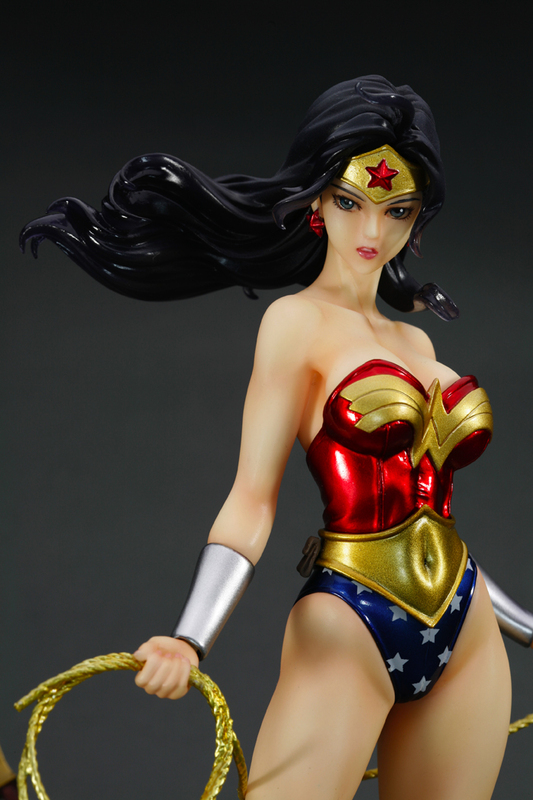 The icon for womens' strength, Princess Diana also imbues incredible wisdom and beauty. 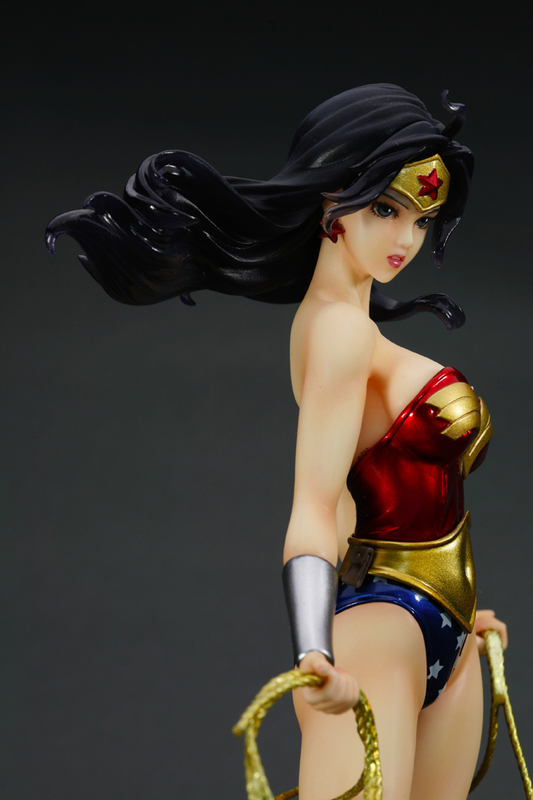 She came to the man's world from her home on Themyscira. 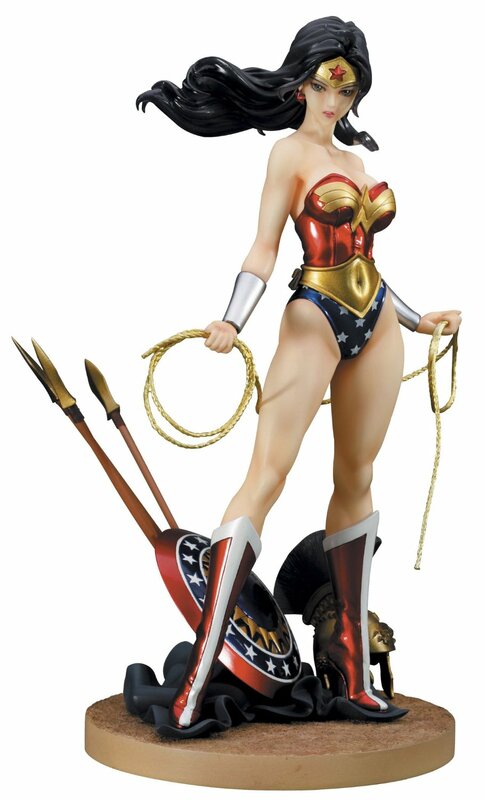 Now, she battles evil for the honor of the Amazons and for the survival of truth and justice as Wonder Woman. 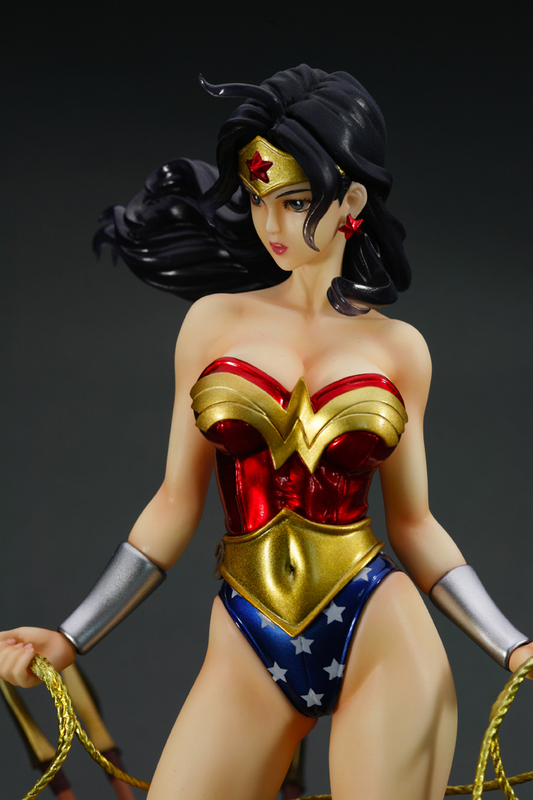 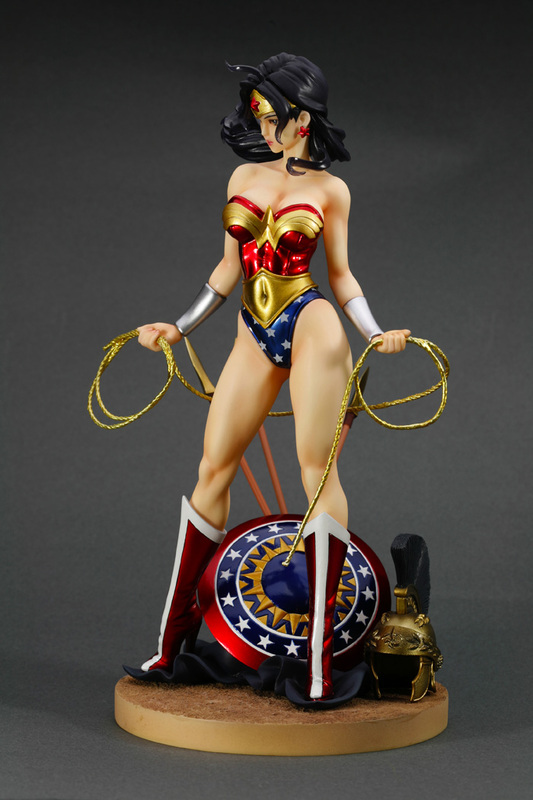 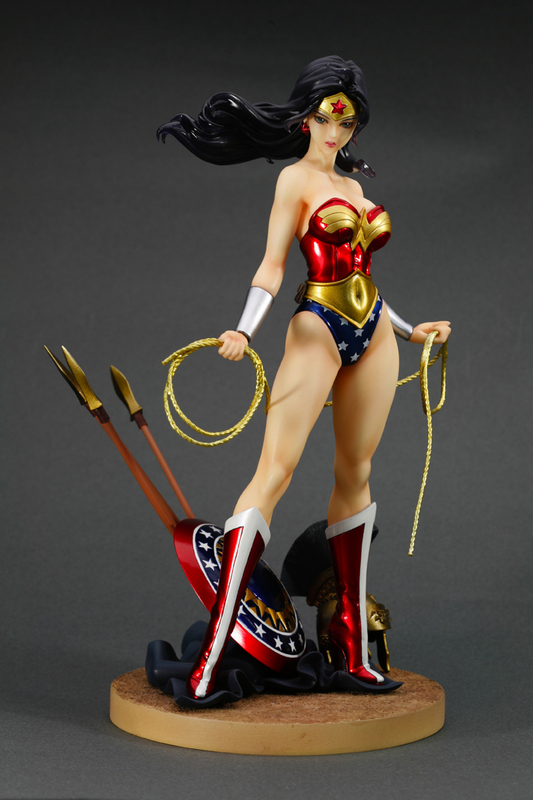 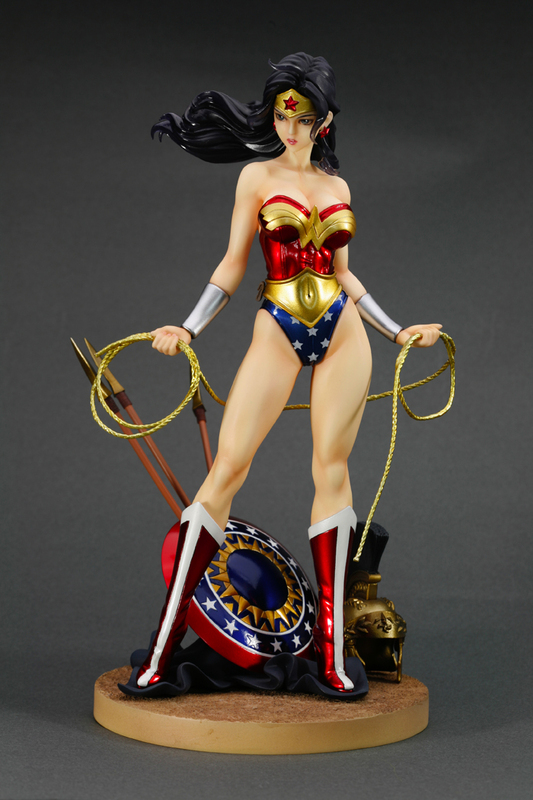 Kotobukiya presents the elegant Wonder Woman bishoujo statue to their growing DC Comics figurine collection. 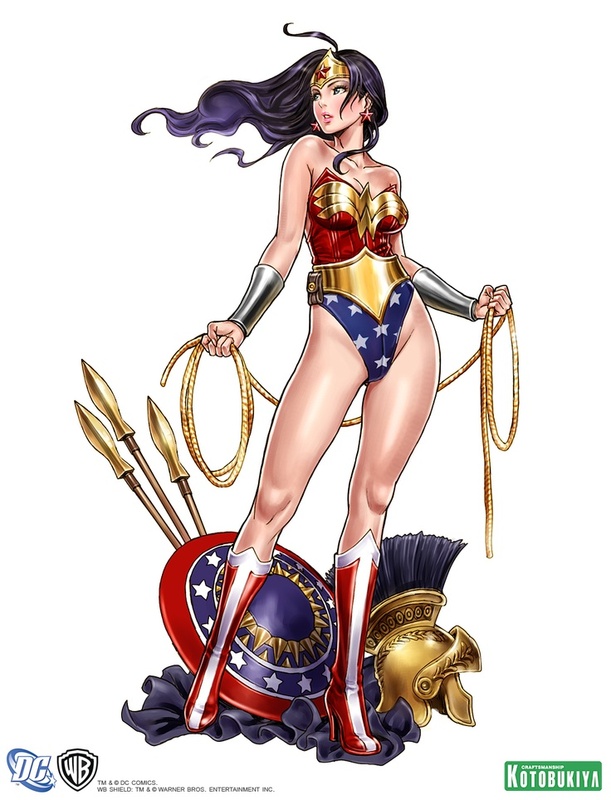 Here the Amazing Amazon wears her classic form-fitting costume which is unmistakably recognizable as well as her golden lasso she grips at the ready. 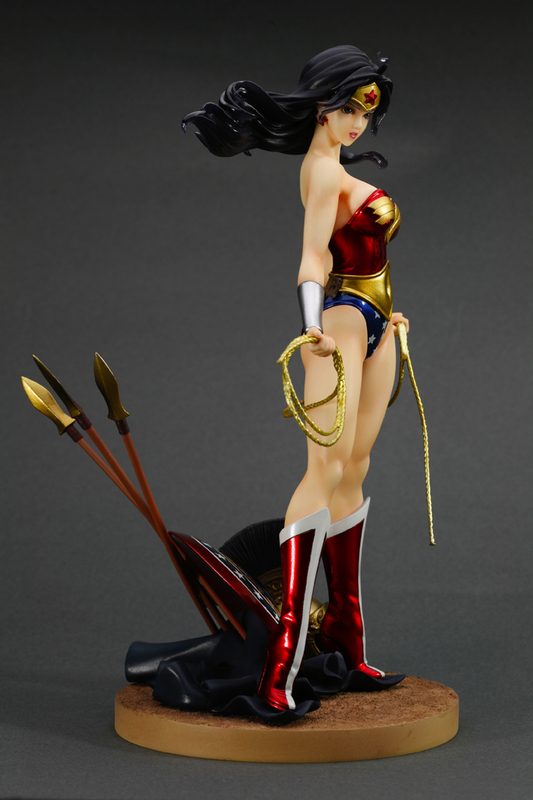 Around her lay the impressive weapons of the Amazon, and she is ready for battle. 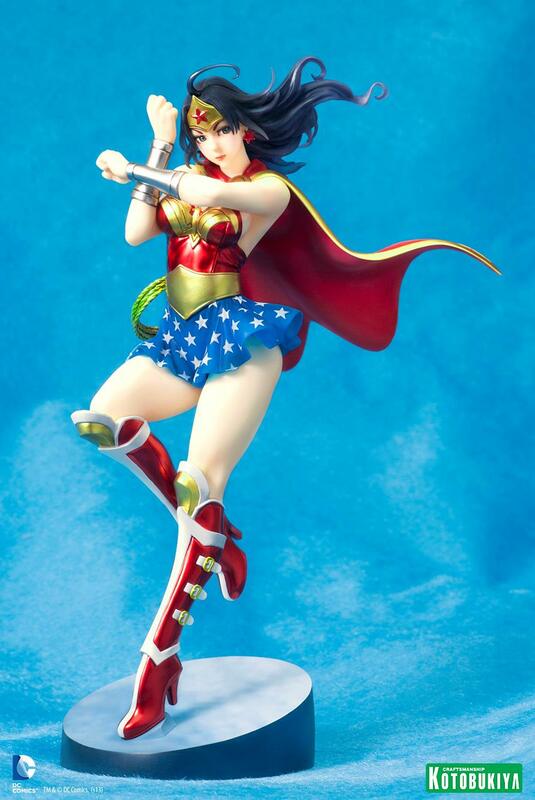 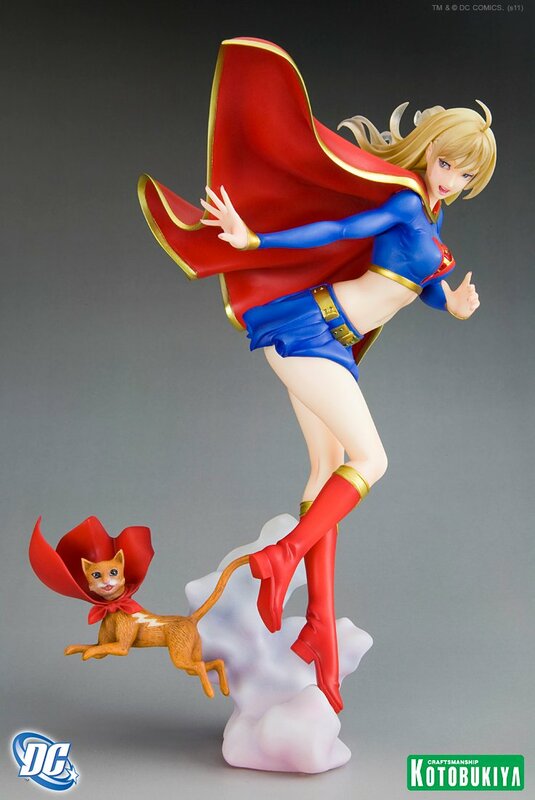 This Kotobukiya DC bishoujo statue stands over 9 inches tall.